1.1 Canister vs. upright vacuums – which one should I choose? 1.2 Bag vs. Bagless Vacuum Cleaners – which is the easiest to use? 1.3 What is this HEPA feature that I keep hearing about? 1.4 Do these best pet vacuum cleaners work for all type of pet hair? There are so many types of vacuum cleaners and vacuum cleaner brands in the market that buying one can prove to be a confusing matter. However, with a bit of reading and researching, it is possible for anyone to purchase a product that suits their needs. Don’t worry; we aren’t going to send you off to read another post. 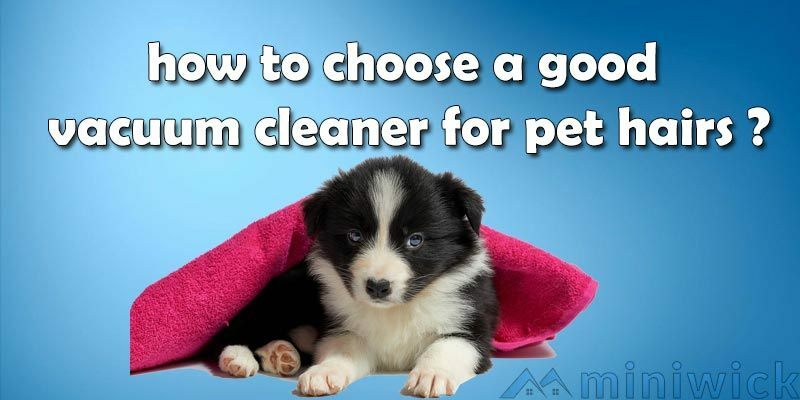 Keep on reading to find out which vacuum cleaners should be the best fit for removing pet hair. Canister vs. upright vacuums – which one should I choose? As you can already probably tell, our choice is upright vacuums. We prefer this variety over the canister type because these devices are compact, easier to use and store. If you want to get a pricier model, then it wouldn’t be wrong to expect extra functionalities like a telescoping hose that can reach every nook and cranny. As far as cleaning action is concerned, the performance varies mostly depending on the specific model and its features. The canister is as good as upright vacuum cleaners strictly talking from the performance perspective. Bag vs. Bagless Vacuum Cleaners – which is the easiest to use? Bagless vacuum cleaners are undoubtedly better because they do not present you the inconvenience of purchasing extra bags that store dust and debris. A bagless cleaner, on the other hand, comes with easy storage and cleaning mechanism that makes getting rid of the trash a breeze. What is this HEPA feature that I keep hearing about? Most of the items in our review have the HEPA feature because it has become rather a standard now. What this tool does is that it gently removes air particles from your home, leaving you with safe-to-breathe air that does not contain any allergens. You’ll find this feature in canister vacuums as well. Do these best pet vacuum cleaners work for all type of pet hair? If by all type you mean cats and dogs, then yes. Cats and dogs are notorious for shedding, and very often the hair gets scattered around the house very fast. Accidental consumption can have a range of effects depending on the individual and the pet’s health, so it’s always a good idea to maintain a house free of pet hair all the time. The items in our review have all been tried and tested to be useful for removing pet hair, and you can go ahead and buy them without any second thoughts.